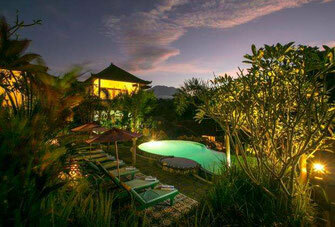 On this page you will find a directory of our properties on offer for sale in East Bali. To go to the page of the property of your interests, please click on the pictures of that certain property or click on the button that says “More information”. Western built 3 bedroom villa for sale in Manggis. A villa with ocean views. Including in the selling price is a large piece of empty land. This absolute oceanfront house is having 3 bedrooms, spread over 2 floors. A house with a terrace ending directly at the ocean. 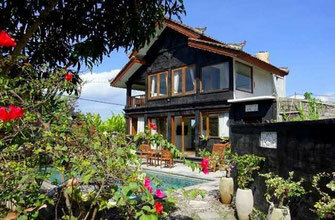 Traditional Balinese house for sale with 3 bedrooms and a large shared pool. Located on a short distance from Candidasa center. 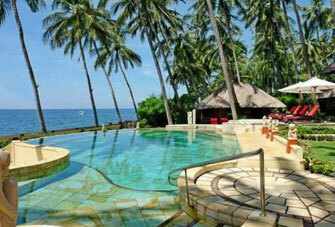 Almost 1 hectare beachfront land for sale in Seraya including some bungalows. A perfect plot for a future beachfront resort. This fantastic ocean front villa is offering unique panoramas to every direction. This is a dream villa in a beautiful setting. 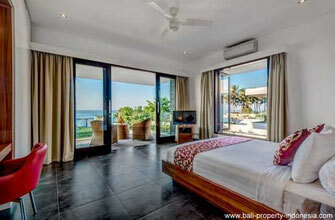 Elegant and cozy Balinese styled beachfront villa for sale in East Bali. 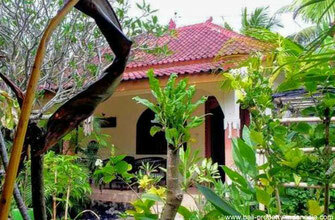 A comfortable property with a large green tropical garden. Pantai Siyut house for sale just 5 minutes walking from the beach with views over rice paddies, mountains and the ocean. 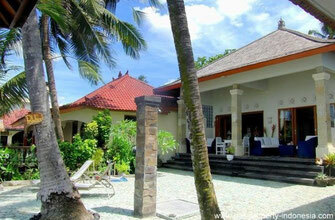 3 Bedroom beachfront villa, located in Keramas, 20 minutes North of Sanur. A villa located in a private secured complex. Freehold wooden villa on offer for sale, 4 bedrooms and close to the beach. This 2 bedroom modern villa has a view like an old landscaped painting; workers in the rice fields, mountains and even the ocean. 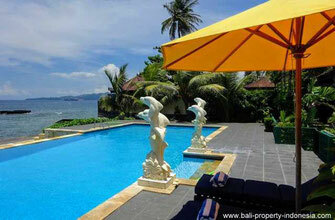 Luxurious villa for sale in Tegal Besar, just a few foots steps away from the beach. A high-end villa with totally 3 bedrooms. Not one, but you will get two villas for 1 price. 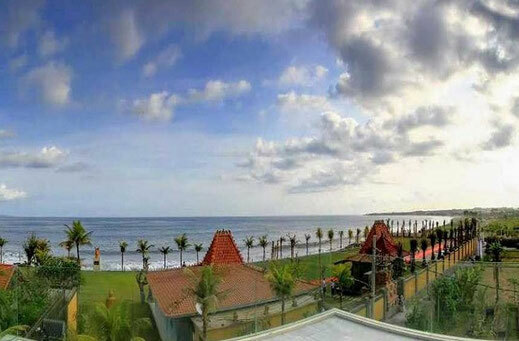 These Candidasa villas are directly located on the ocean. 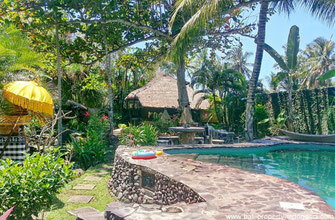 Cozy bungalow for sale in Candidasa located in a small complex. Walking distance from the center of Candidasa.